Leader Mike Vax is a product of the City of Oakland, CA, and the Oakland Public Schools, having graduated from Oakland High School in 1960. He has led a big band off and on since his days at College of the Pacific over 45 years ago. His credits include first trumpet, soloist and road manager of the Stan Kenton Orchestra, as well as being co-leader while Mr. Kenton was recovering from surgery; leading the Dukes of Dixieland in New Orleans; producing and/or music directing over 30 jazz festivals; and performing workshops for more than 2000 high schools, colleges and universities all over the world. For this concert tour, he has gathered alumni from the 1956 — 1978 Stan Kenton Orchestras together in the Mike Vax Big Band to perform for festivals, clinics and concerts in tours throughout the US. The program he has produced includes some of the well-known music of the Stan Kenton Orchestra and (in keeping with Stan’s insistence on not just performing nostalgia type music) some contemporary material written in the Kenton style and original material written by members of the Band. It is not his intention to be the “Stan Kenton Orchestra,” but rather to carry on the tradition of dedication to creative music and jazz education that the Kenton Orchestra embodied. His goal is to perform great music, demonstrate the importance of the jazz heritage, bring jazz to young people and offer the audience a relaxed, entertaining evening. 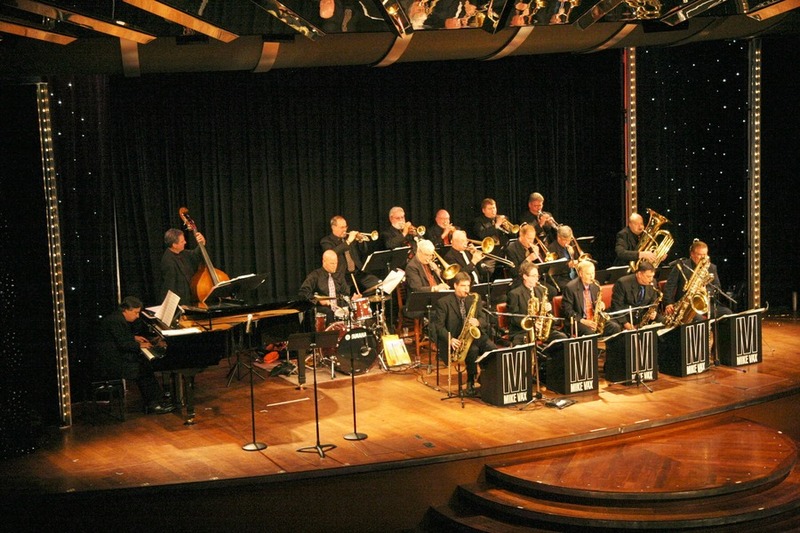 In addition to the evening performance, the Mike Vax Big Band will present a clinic at 4:00 p.m. open to all local musicians of any age or skill level. The band will open with a few selections before presenting section clinics between 4:20 and 5:20. High school or college jazz directors who wish to receive additional information about the clinics or to purchase a block of concert tickets should contact Gustavus Director of Jazz Studies, Dr. Steve Wright, at 507-933-7439. Tickets are not required for the afternoon clinic.